Outline planning permission now received for designs led by Mark Bingham, director of Draw Architects. One of the towers is due to be the tallest residential building in Scotland. 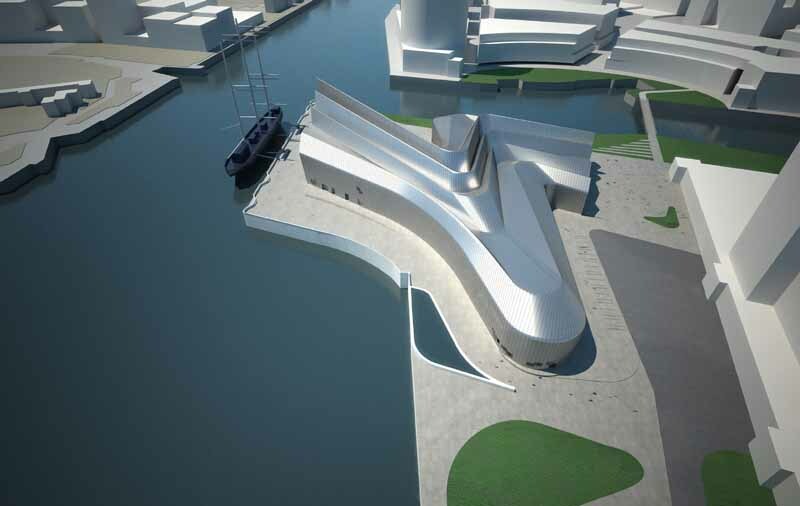 Located at Queen’s Dock QD2 is due to start in 2007 completing in 2012. The tallest building so far approved is Elphinstone Place at 39 storeys. 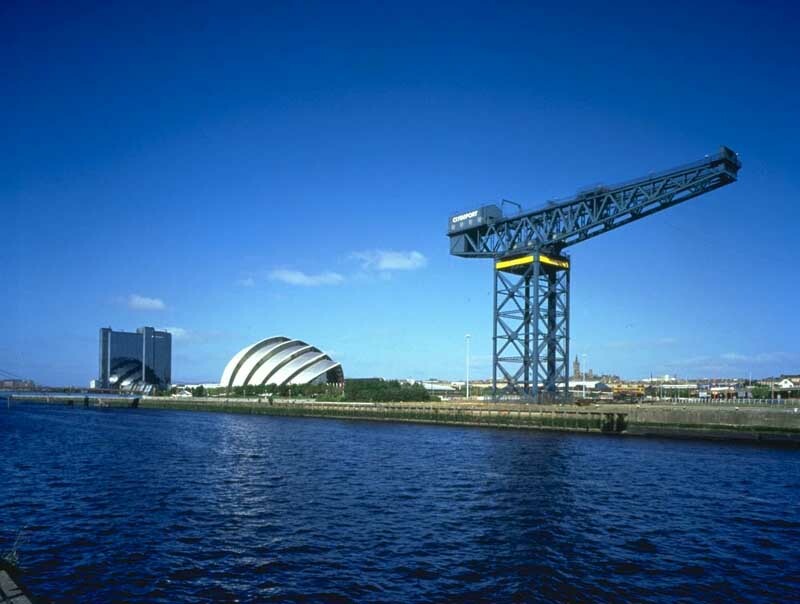 A £350m urban village is to be built on the banks of the River Clyde at the SECC. A master plan creating a vision for the future of the Scottish Exhibition + Conference Centre (SECC) was unveiled in 2004. The development, named QD2 because it marks the second redevelopment of Queen’s Dock in Glasgow, the first being the construction of the SECC in 1985, plans to transform SECC’s 64-acre site into a complete exhibition, conference and entertainments complex. The Glasgow SECC masterplan for QD2 was announced in October 2003 for QD2: following a selection process, Elphinstone Land was appointed preferred bidder in July 2004. Elphinstone’s objective is to build a sustainable community, which will become part of the fabric of the Scottish Exhibition + Conference Centre and integrate the SECC complex with the local Glasgow community. The QD2 project, which was approved in principle by the Board of SEC Ltd, includes the construction of a purpose-built arena which has the potential to inject £21m into the local economy each year, adding to the £86m generated by SECC annually at present. 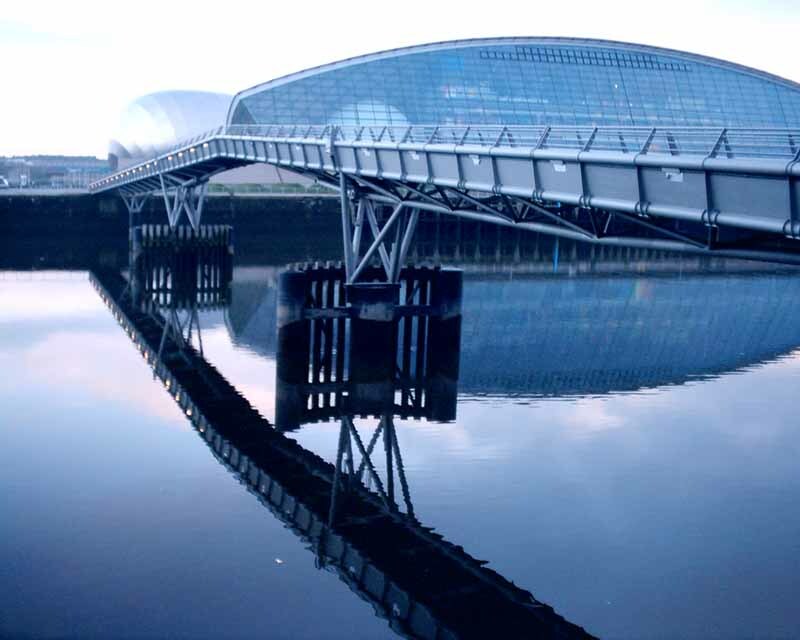 SECC, along with Scottish Enterprise, appointed Page and Park Architects together with landscape architects, Ian White Associates in February of 2004 to prepare the master plan that is the blueprint for the future development of the Centre. The development, by construction giant Elphinstone Land, would help pay for dramatic plans to transform the SECC Glasgow into a world-beating venue. The SECC II project, along with other developments at the Scottish Exhibition and Conference Centre site, should create around 3000 jobs. SECC management also revealed detailed plans for a Glasgow casino. They said a gaming resort would be built and run by Kerzner International, whose founder Saul Kerzner was behind South Africa’s Sun City. This new Glasgow casino comes on top of plans unveiled in 2003 for a 12,500-seat arena and multi-storey car parks as part of the SECC’s Queen’s Dock 2 – QD2 – expansion. The new Glasgow casino, scheduled to open as soon as 2007, will go up only if new gaming laws allow Las Vegas-style resorts in Britain. Dwarfing rival Glasgow projects, the SECC Glasgow casino will have 1250 slot machines and 50 tables. It would also have a 150-room hotel, Glasgow’s third five-star establishment, with a roof garden, restaurants, bar & leisure facilities and 1600-space car park; the casino will be linked with SECC’s new arena by a walkway, creating a single complex that will help Glasgow compete for lucrative conventions as well as major concerts. 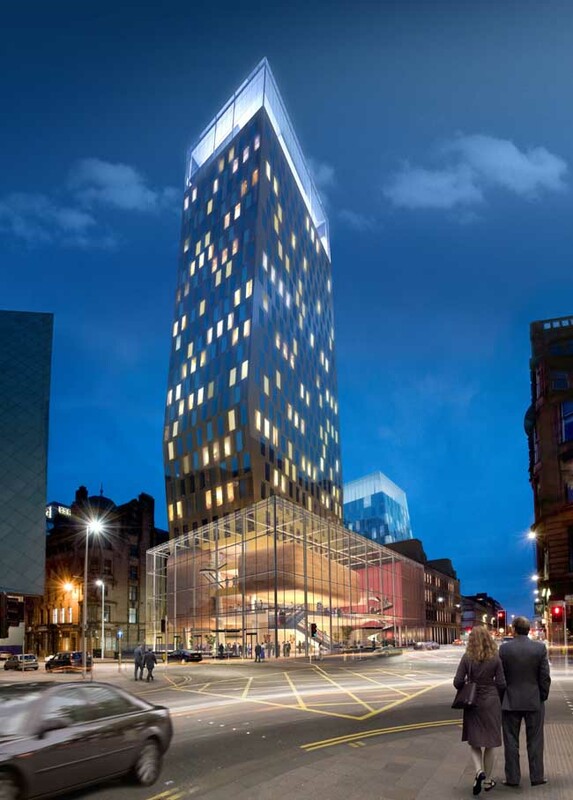 The Glasgow casino will take the total QD2 investment to £562m.